Bulgaria May Scrap Barriers on Foreigners Buying Land Under EU pressure – and to avoid heavy fines – the Bulgarian government is moving to remove barriers against the acquisition of agricultural land by foreign citizens. The European Commission took a decision Thursday on demanding a clarification on thelaws regarding the acquisition of agricultural lands passed in Bulgaria, Hungary, Lithunia and Slovakia. As announced by the commisison’s press office, several of the directives in the laws can be considered as hindrances to the free movement of capital within the borders of the EU. All restrictions to agricultural land ownership need to be substantiated and justified so that no doubt is left on possible discrimination against foreign investors. The commission also noted that all countries have the righ to determine their own laws, but they also need to comply with the union’s anti-discrimination policies. Some of the dubious requirements listed in the Bulgarian legislation involve requirement for residence in the country, restrictions regarding people with no professional qualification, as well as a requirement for the preliminary approval of sales contracts. The EU Commission’s official announcement letter marks the start of the proceeding, giving countries a two-month deadline to provide information on the case. The last amendment to the Bulgarian property law states that there will be BGN 100 per decar sanctions on land ownership upon Bulgarians with properties outside of the EU, Investor.bg reminded. Currnetly: Foreigners or foreign legal persons may acquire ownership of a land under the terms of an international treaty ratified by the order of Art. 22, Par. 2 of the Constitution of the Republic of Bulgaria, promulgated and enforced, and foreigners – also by legal inheritance. 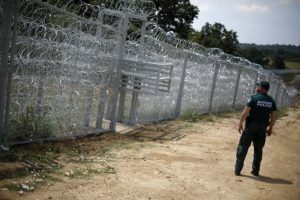 As of October 6, 2016 Bulgaria starts to play an increasingly important role in protecting its own borders and those of Europe, EU Migration Commissioner Dimitris Avramopoulos has said. Avramopoulos has attended the launch the European Border and Coast Guard at the Bulgarian border with Turkey, at the crossing point of Kapitan Andreevo. The agency, which will have some EUR 320 M in funding until 2020, is a result of the expansion of Frontex, the current EU external border agency, which has been severely criticized for inefficiency since the outbreak of the migrant crisis last year. The establishment of the guard was agreed in December 2015 as a response to the surging migratory pressure on the EU’s external borders, with some 1.5 million people having crossed into the EU between January and November 2015. “The European Border and Coast Guard combines the resources of the new European Border and Coast Guard Agency, built from Frontex, and the Member States’ authorities responsible for border management,” the EU Commission says in a statement.